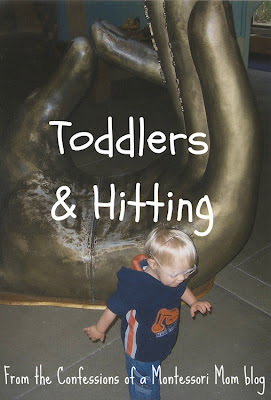 Does your toddler hit? How do you handle it? Time outs: I don't think time outs are very effective for toddlers in a school or daycare setting. (We did not use them at out school.) Instead the toddler needs help to use her words and express her feelings. But what about at home? At home time outs can be a way of dealing with extreme behavior, like hitting, but there are better methods you can try that are age-appropriate. 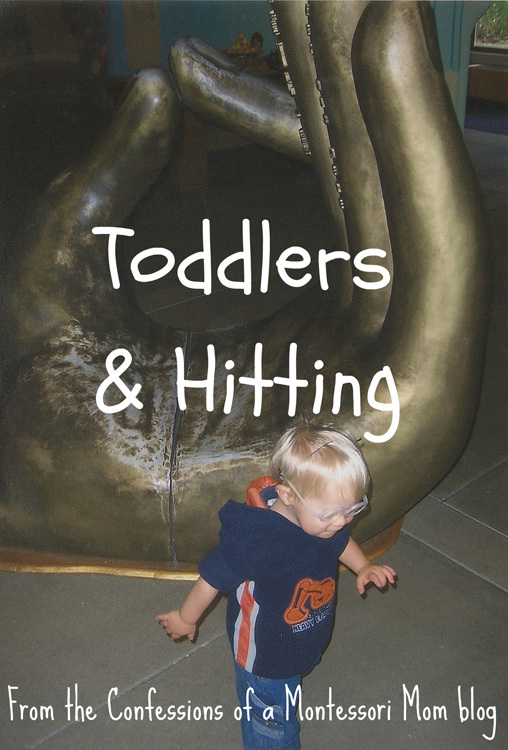 When your child hits, direct her to an activity that she can hit, like a special pillow, some play dough, or a toy hammer activity and say, "We can hit the pillow or the play dough..." Also tell her "Hitting hurts, it makes me feel sad." You can also try to help her express her feelings when she hits, "Are you feeling mad because mommy is talking to daddy?" Another common tactic for hitting is to say to the child "Please use your words", but you can take that a step further by giving your toddler words to use, like "Please say my turn." And The sooner you deal with hitting behavior, the better, as the hitting will persist, and three and four-year-olds hit harder, scream louder, and run faster! So tackle it now! The terrible twos are not a myth! I thought I would escape them with my son! Ha! 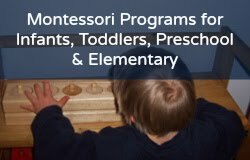 My affordable online Montessori and homeschool PDFs and programs for birth to nine-year-olds.